Take small leaves of basingu and soften them in boiling water for two-three minutes. Wash the leaves so that bitterness is removed. Heat mustard oil in a thick-bottom pan, add asafoetida and jakhiya (Cleome viscosa) and let them crackle. Add salt. 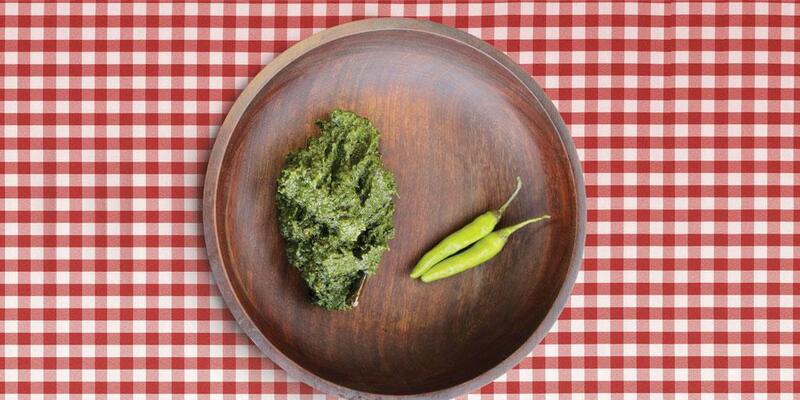 Garnish with fried dry red chilli and eat with finger millet chapatti with dollops of fresh ghee. It is a great breakfast.